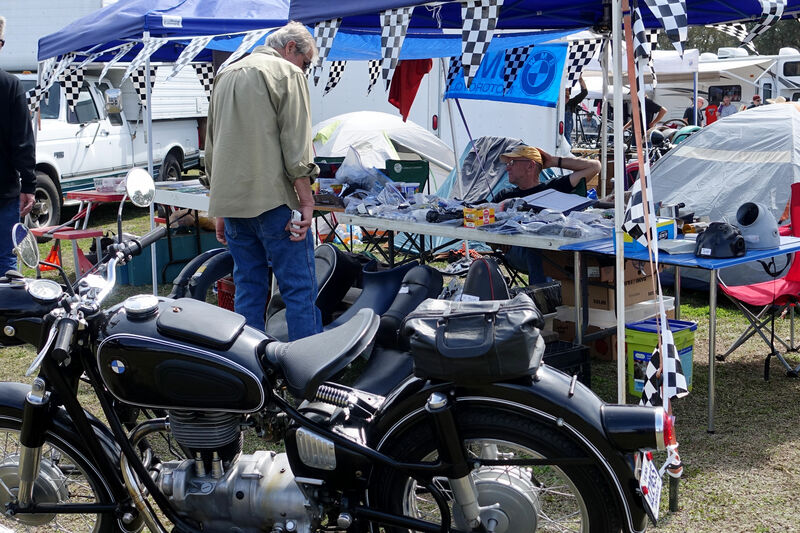 We invite all vendors to attend, as our rally guests enjoy the opportunity to purchase riding and camping gear. Register each member of the vendor team. Check in with Rally Registration staff BEFORE setting up. For those planning to bring a RV, please contact our hosts, Parkers Crossroads RV Park & Campground regarding daily RV Rates, as RV campsites are NOT included in the rally fee. Phone: (731) 968-9939 or Email: reservations@pcrvpark.com . Vendor space is limited and is issued on a first-come basis. If you are considering attending as a vendor, please contact vendors@bmwrams.com by September 13, 2019. Sunday, September 29: Early breakfast (until out), Sunday Devotional, & Safe Travels! Searching for that special part for your vintage BMW bike? Interested in finding nifty new-to-you riding gear? Stop by the RAMS Members' Swap Meet adjacent to "Rally Central". Hang out and chew the fat with Market Meister Marshall Robilio. New for this year will be a Bulletin board for Items not brought to the Rally such as, Bikes, Cars, Tools, Camping gear or what have you. Make a moderate size posting including item, price, picture if you like and your name and phone number. 4. Transportation of items to the rally site as the total responsibility of the seller and also pickup of left over items after rally. 5. If a complete and running bike is for sale we would ask that the seller to be available by cell phone etc. and personally finalize the deal individually with the buyer --- test ride – title details etc. Motorcycle parts and related Items for sale (preferably BMW) can be brought to us almost at any time we are close by or have the Swap market open through out the weekend.. This is a free service, no commissions charged. We will do our best to sell your items. Welcome to the RAMS Rally Door Prize Hut! 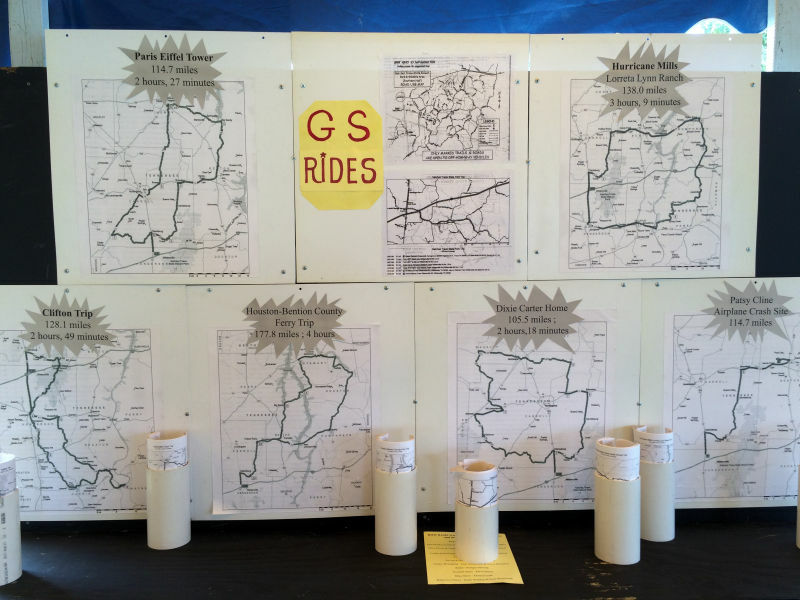 The Door Prize drawings are one of the highlights of our rally weekend. Each person registered for the full Rally receives Door Prize tickets, which may be divided between several door prizes. Please note: Saturday Day Pass holders do not receive Door Prize tickets; however, they can pay an additional $20 at the Rally to upgrade to the full Rally package. 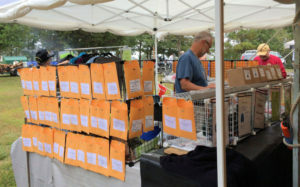 Each Door Prize received is assigned a number with a corresponding envelope; Grand Prize donations are also numbered and assigned a corresponding box to allow rallygoers the opportunity to choose how they wish to use their tickets. 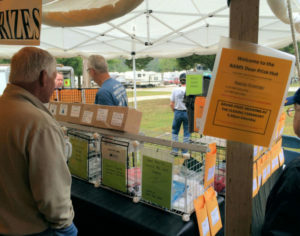 The Door Prize Hut is a great gathering place for rally attendees to examine and discuss the Door Prize items prior to making their selection(s). The Hut has been mistaken for a vendor more than once, with first-time attendees asking if they can purchase items! Drawings start on Saturday morning, with the Grand Prize Drawings ocurring at the Closing Ceremony on Saturday afternoon. 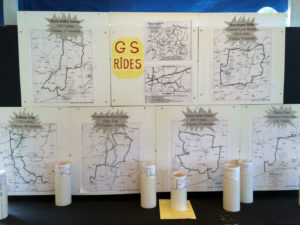 We publicize all door prize contributors, both at the rally and during the year on our website. We would be happy to circulate any printed material that you might want to send along. 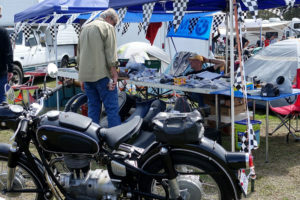 Would you like to donate a motorcycle-related Door Prize for the 2019 RAMS Rally? Please contact vendors@bmwrams.com for more information! Performance Plus Motorcycle & ATV Specialists, Inc. The Rally fee covers primitive camping for two nights (Friday and Saturday). Those needing RV campsites OR those wishing to arrive earlier, please contact Parkers Crossroads RV Campground directly at (731) 968-9939 or email reservations@pcrvpark.com . 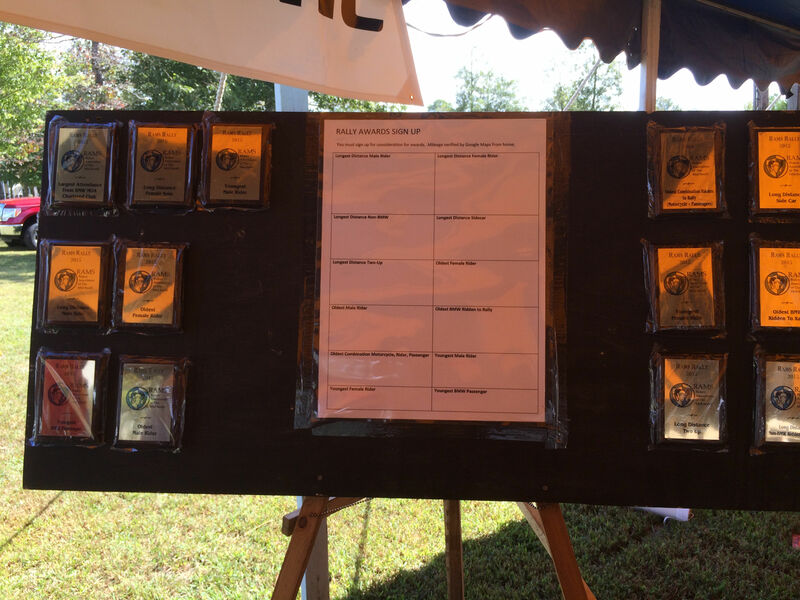 "Hurricane Mills - Loretta Lynn Ranch"
"Patsy Cline Airplane Crash Site"
Competition for Rally Awards has become an "Art Form" with our Rallygoers. Distances are measured from your home address to the Rally, as verified by Google Maps. Light breakfast on Saturday, and Sunday mornings. Our Rally Dinner of bratwurst (or Boca burger for vegetarians) will be served on Saturday evening for the first 150 registered rallygoers. Our hosts at PCRV have a small camp store / deli onsite. They have 12" and personal size pizzas for purchase AND delivery to your campsite! Need a bag of ice? See Steve or Mike at the Camp Store! Available at several gas stations adjacent to the campground.